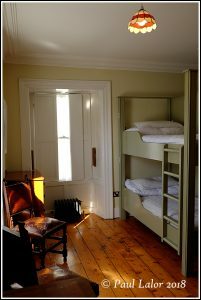 All bedrooms are sympathetically refurbished to the highest standard without affecting their original architectural style. The original refurbished pine floors have been restored to provide a warm feel to the rooms. 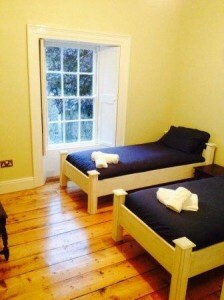 Each room has central heating with local control of the historic cast iron style radiators. 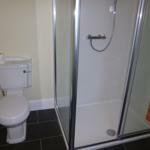 All en-suite shower rooms and wash hand basins are supplied from a constant-flow hot water system. Each bed is provided with luxury hotel grade mattresses and pillows with protectors a standard. 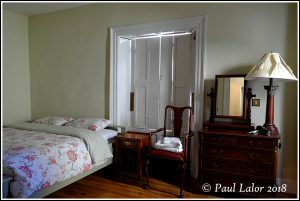 Clean bedding including duvet covers are provided. 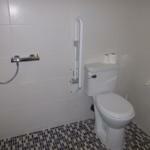 Ground Floor c/w 1 double bed, suitable for couple, wheel-chair accessible and comes with ensuite toilet and wet room power shower. 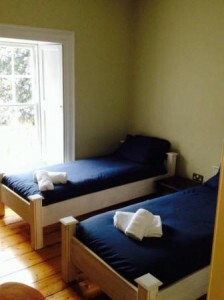 First Floor: 2 single beds, suits individuals, couples, group supervisors. 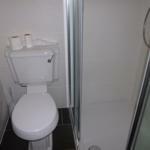 It comes with shared toilet on stair landing & shower-room with Bedroom 4. 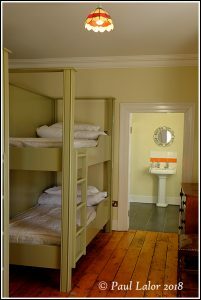 First Floor: 8-bunk beds, suits individuals, groups etc, two separate ensuite toilets and individual power showers. Second Floor: 2-single bed’s, suits individuals, couple, group supervisors, shared shower-room on stair landing with Bedroom 2. 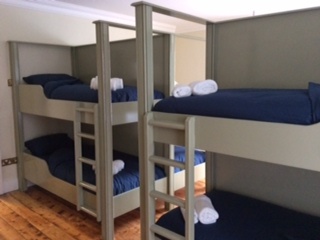 Second Floor: 8-bunk beds, suits individuals, groups etc, two separate ensuite toilets and individual power showers.